--To be really sad David Bowie passed away. He was fantastic. Labyrinth is one of my all time favorite movies. --To have bought more Powerball tickets. Only two. I'm cheap. --To be pleased with the children's report cards. As and Bs. C in math. I really can't judge. I was always awful in math. --To have not watched the Golden Globes. I just catch the highlights the next day. Leo and Kate reunited? Yay! --To be glad other people are annoyed with certain words that I shared in my Words I Wish We'd Get Rid Of For 2016 post. Sometimes I feel like I'm just a cranky lady. --To have gone to Five Guys over the weekend. It's something that the teenager actually enjoys! Hope you have the winning ticket! I watched Labyrinth sooooo many times! My kids have seen it but aren't as impressed while I can still quote most of it. I am sad about Bowie too, but I turned yesterday into a Bowie day! Ugh, Farrah. I liked the show better when she was gone, honestly. 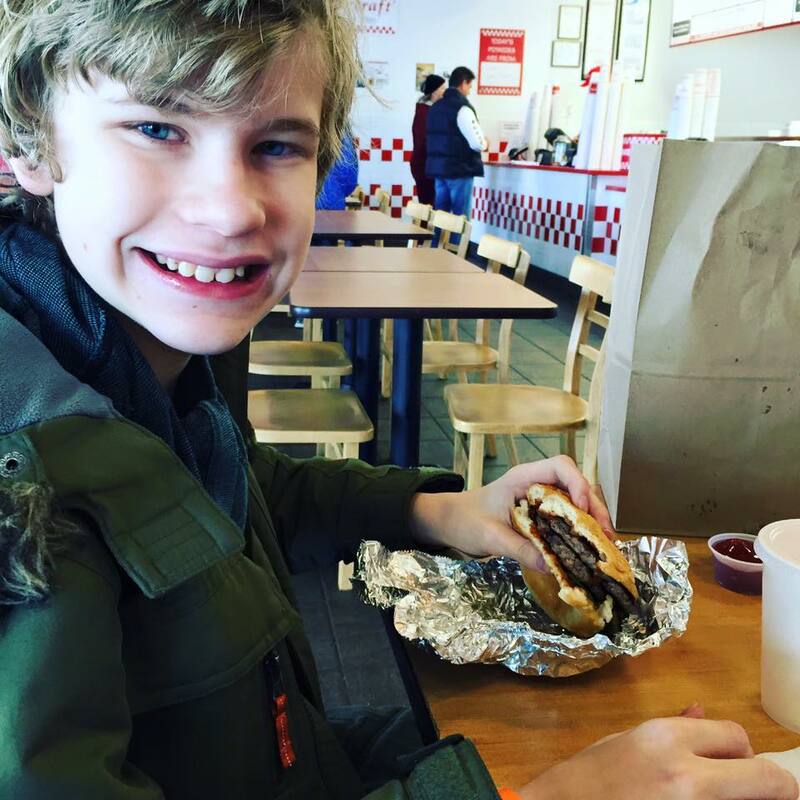 My boy and I have a date set up to go to Five Guys because he loves burgers! I didn't watch the Golden Globes either. I love Five Guys fries but it is more on the expensive side so I don't go often. Omg tho. Nicki Minaj calling Farah Abraham out on Twitter. Hilarious. I still need to go get my tickets!!! Here's hoping you (or me!) wins the Powerball!! Amazing!! I only like seeing what was worn during these award shows...! Oh Lord Farrah adopting a kid is scary. I loved Labyrinth so much is part of the reason my daughter's middle name is Sarah. I am so sad about David Bowie, breaks my heart! I watched the Globes mostly just to see Leo and Kate reunite! ha. Five Guys is the best!!! I loved David Bowie too... he was the best Goblin King they could have had.. awesome man.. So sad about David Bowie. I bought a few Powerball tickets, but honestly, winning that much money kind of scares me. still in shock about david bowie. supposedly he died from liver cancer, which my dad had. i admit, i bought powerball tickets. someone's gotta win, right? I'll have to check your words not to use this year post. Congrats on your kids grades! Leo and Kate are back!? I have never seen Labyrinth, maybe now is a good time to watch it? I've never seen Labyrinth, but I'm thinking now is the time to check it out. It's so sad about David Bowie. Yay for Five Guys!! My favorite! And I'm really sad about David Bowie and Alan Rickman.